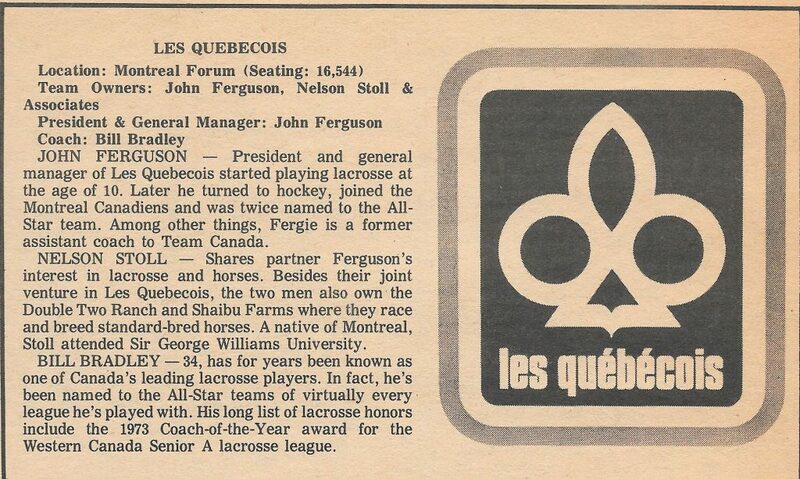 You can take it from me, the Montreal Quebecois will be a fast, productive, aggressive and exciting team in the National Lacrosse League. A number of players impressed me during training camp and, I’m sure, they’ll impress the fans in all cities during the season. In 1961 Davis was voted Junior B Rookie of the Year while playing for the Whitby Red Wings. 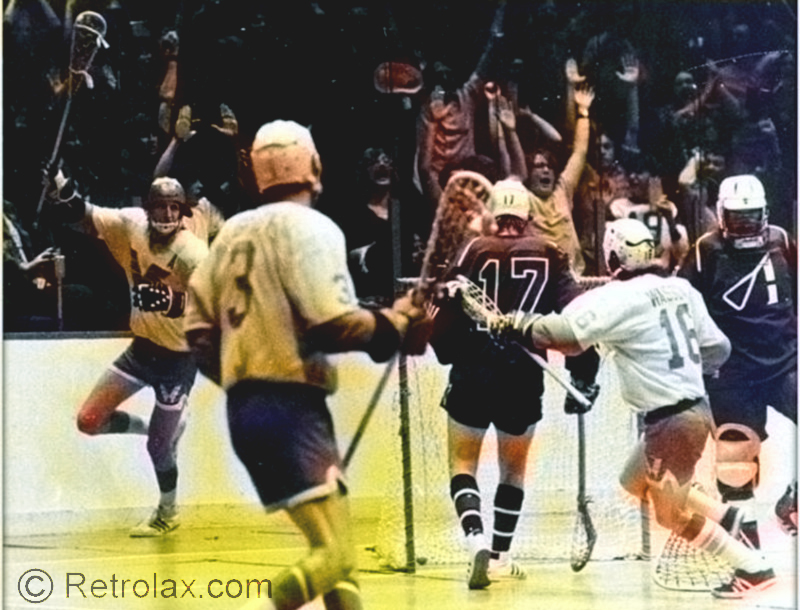 That same year, he went on to play Junior A for the Hastings Legionnaires, the 1961 winners of the Minto Cup. 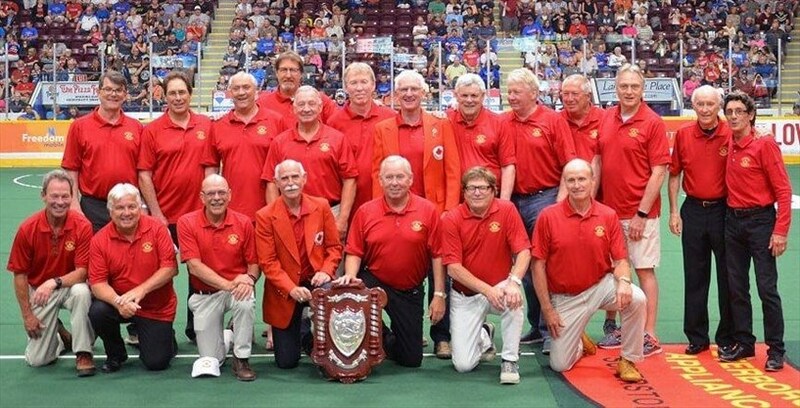 A native of Peterboro, Ontario, Davis joined the Oshawa Green Gaels in 1963 and helped them win three of their seven consecutive Minto Junior A championships. Davis was voted Most Valuable Player and received three top Junior A scoring trophies. In 1966 Davis joined the Peterboro Senior A team. 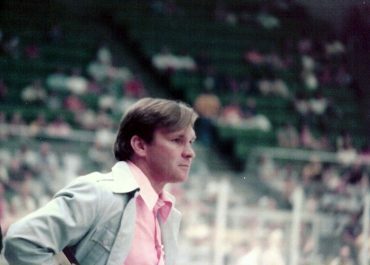 Davis won the Senior A Rookie of the Year award; his team won the Mann Cup. 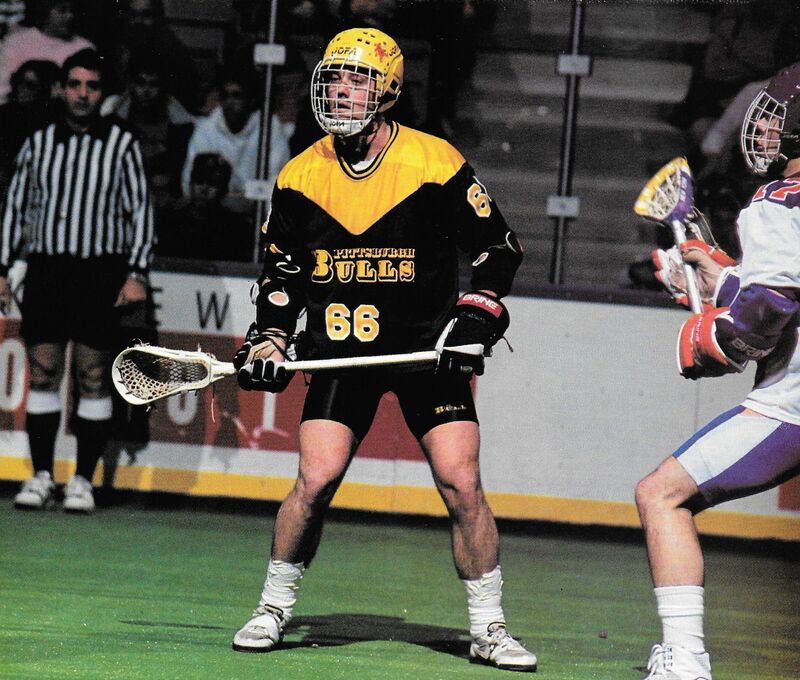 The following year, Davis and his Mann Cup team were chosen to represent Canada in an International Field Lacrosse Tournament with the United States (gold medal), Australia (silver medal) and England competing. Canada won the bronze medal. For the past eight years, the 160 pound, 5-foot, 9-inch Davis has captured the Peterboro Lakers’ Top Scorer and Most Valuable Player awards. 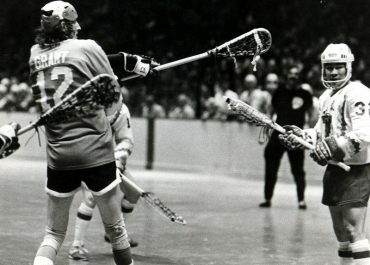 A member of the Lakers’ 1973 Mann Cup championship team, Davis is a two-time recipient of the Mike Kelly Award (most valuable player in the Mann Cup series). 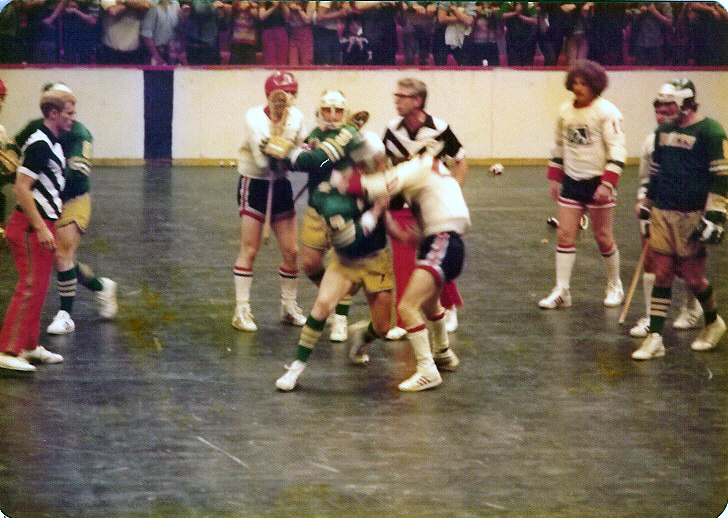 In 1973, Davis, who is 30, received the Most Valuable Player and Top Scorer awards for the Senior A league. WAYNE SUTHERLAND — an exceptionally hard worker. 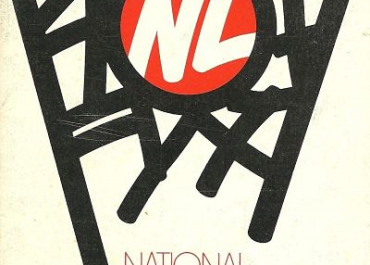 DAVE TASKER — the no. 4 draft choice from the Western Canada Senior League, is a real fine checker. JIM LYNCH — a junior star from Victoria, B.C. has shown that he can also play it rough. DALE McKENZIE — after missing the first week of training camp, has shown the ability of scoring goals in practice with flair. DAVE LITZENBERGER —another Western import has fallen right into Bill Bradley’s Western coaching system. In goal our No. 1 choice, DAVE WEDLOCK, is having a fine training camp. He is certainly worth the first selection. He is not an offensive style goalie, but a real stopper. GORDON OSINCHUK and RON LISCOMBE look like they will be doing the heavy work for the team. 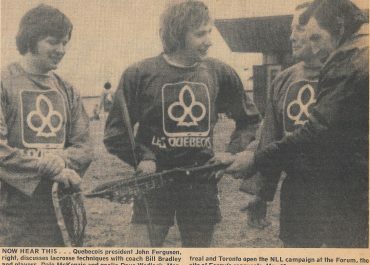 Montreal’s brother combination MICHEL and YVAN BLANCHARD look like they will fit right into the National Lacrosse League. Also a real plus for the Quebecois has been GORDON FLOYD. 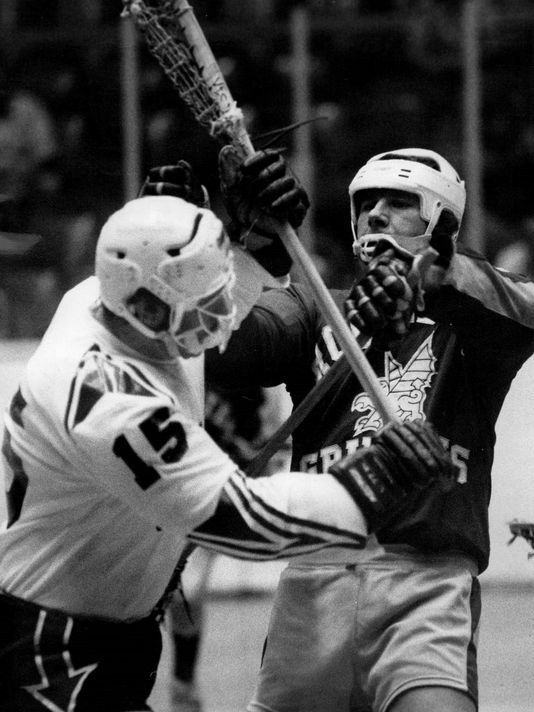 Toronto native BILL SHEEHAN has proved to be a heady lacrosse player. 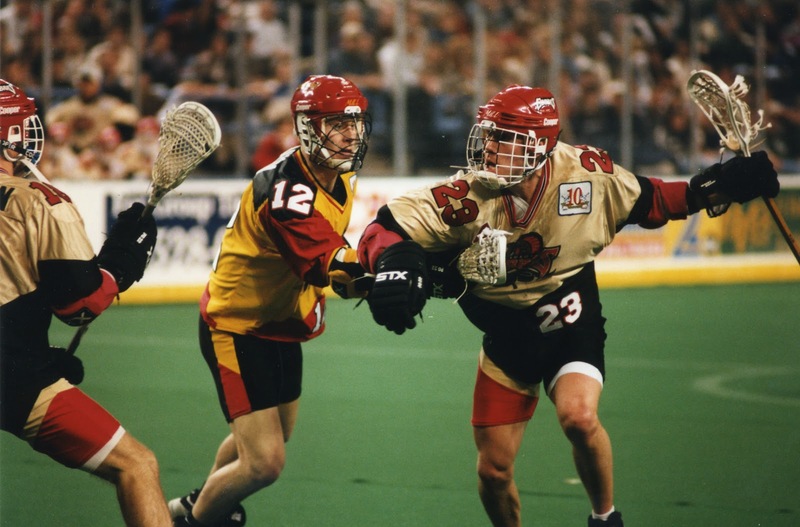 Coach BILL BRADLEY has modelled a team to watch for in the National Lacrosse League.